Yes! 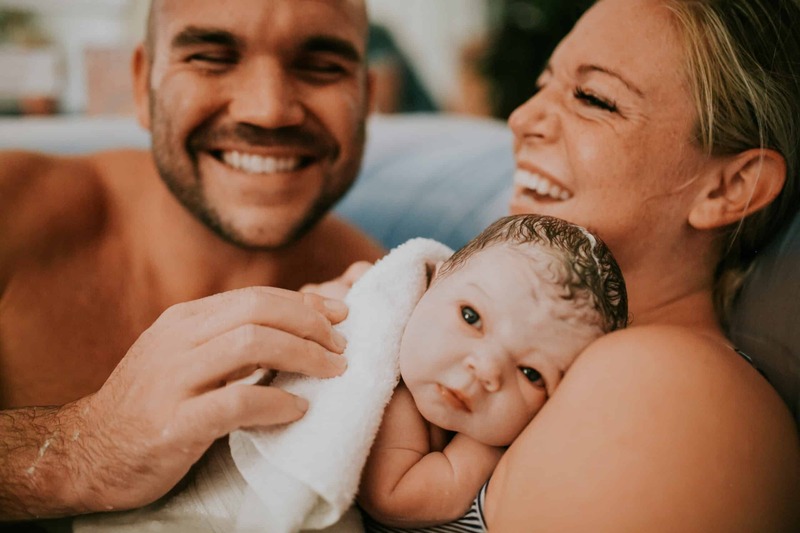 These are babies whose parents choose to easily and naturally prepare for childbirth using the Hypnobabies method of Hypnotic Childbirth, which some might call “hypno-birthing”. Hypnobabies however, is very different in that at Hypnobabies we teach real, medical-grade somnambulistic hypnosis techniques, creating an automatically peaceful, relaxing and more comfortable pregnancy, a calm confident Birth Partner, and an easier, much more comfortable natural birthing for our Hypno-Mom. Have you ever wondered what Hypnobabies is? Hypnobabies is a very successful 6 week, 3-hours per week, complete childbirth education course that was adapted with permission from Master Hypnotherapist Gerald Kein’s “Painless Childbirth Program” techniques rather than using simple relaxation, breathing or guided imagery. This allows our Hypno-Moms to enjoy “eyes-open childbirth hypnosis”, easily remaining deeply in hypnosis while walking, talking and changing positions; being as mobile as they would like to be during childbirth. Hypnobabies is well-known for helping women to create much shorter, easier and more comfortable labors, making childbirth the joyful experience it was meant to be. Including a very comprehensive childbirth education curriculum also ensures that our Hypno-moms remain deeply committed to their Hypnobabies training, since they need not go anywhere else for childbirth education. Other natural childbirth classes are wonderful, but many teach “pain-coping”, and “pain-management”, which is directly in opposition to our Hypnobabies suggestions that encourage an easier, more comfortable, joyful childbirth. For more information, please see our Classes Frequently Asked Questions Page or our Self-Study Frequently Asked Questions Page. For more information on hypnosis and its uses for childbirth, FAQs about hypnosis, Therapeutic Hypnosis vs. Stage Hypnosis, and more, please visit our HYPNOSIS page where you can also watch a video about hypnosis by Scott Sandland, CHt. For more information on Hypnobabies live-classes, CLICK HERE. For more information on our Hypnobabies Home Study Courses, CLICK HERE. For more information on our Hypnobabies Hypno-Doulas, CLICK HERE. For information on our Hypnobabies Instructor Trainings, CLICK HERE. Hypnobabies® – Natural Childbirth at its best! Join our Hypnobabies Community and receive 15% off of all Hypnobabies pregnancy, birth, doula and postpartum products.